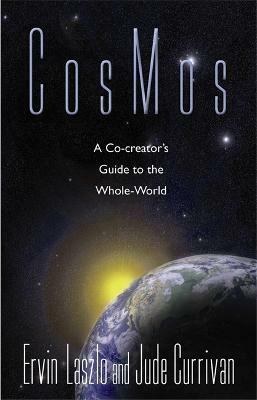 CosMos is co-authored by two explorers who combine almost a century of seeking to understand not only how the world is as it is, but why. Philosopher Ervin Laszlo, Ph.D., and healer and scientist Jude Currivan, Ph.D., offer a revisioned view of the world that is no longer fragmented, but is at last, whole. Theirs is a perception of a meaningful and co-creative world that is exquisitely tuned to be "as simple as it can be" for consciousness to explore itself. In these momentous times, the vision shared in CosMos invites us to open our hearts and minds to remember who we really are and to take our places as conscious co-creators of our realities and of our evolving cosmic destiny. Jude Currivan is an internationally well-known sensitive, scientist, healer and cosmic geomancer. Jude has researched ancient wisdom, consciousness and metaphysics since early childhood. She has a PhD in Archaeology and a Masters Degree in Physics from Oxford University, specialising in cosmology and quantum physics. She has been featured on UK television and the Learning Channel in the US.